The Colormix manually-operated pneumatic blender is suitable for homogenisation of dispensed inks in buckets. 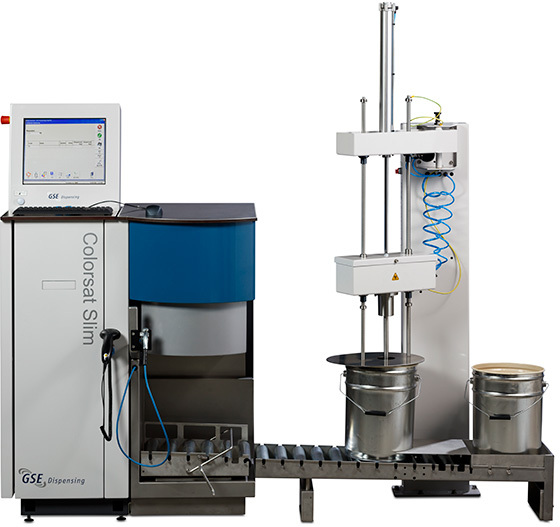 The blender is positioned at the end of the exit side of roller conveyor of the Colorsat Compact or Slim dispensing system. The blending and cleaning processes are manually operated. All up and down movements of the blender blades and the shaft are automatic (by a pneumatic cylinder). 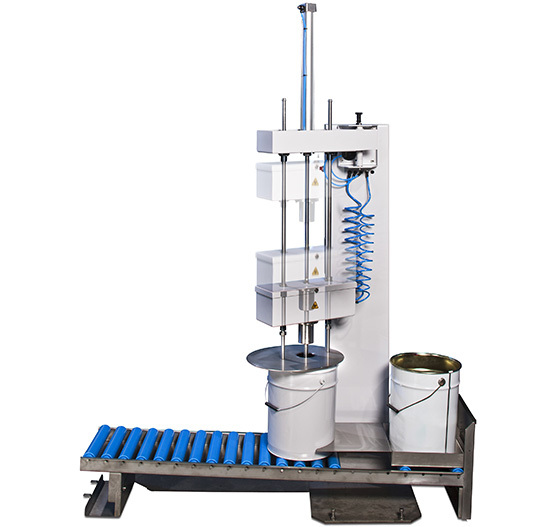 After manually positioning of the bucket with dispensed ink underneath the blender, the blending process can be started and stopped by means of the pneumatic switches. The blender can be manually turned over a bucket with detergent or water. By means of the manually operated pneumatic switches the mixing blade lowered into the bucket and the cleaning process can be started and stopped. for safety reasons, the bucket is closed by a cover during the blending and cleaning processes. This cover also prevents that possible drips will spread outside the bucket.